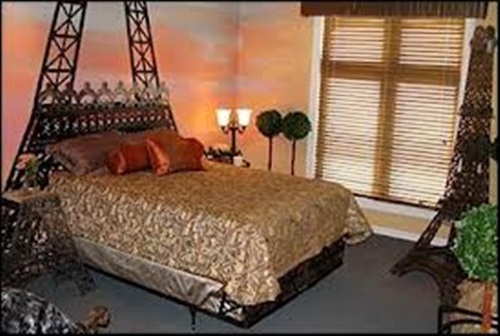 If you my lady are looking for a private, famine and romantic bedroom style, the French Boudoir style is the best choice for you. 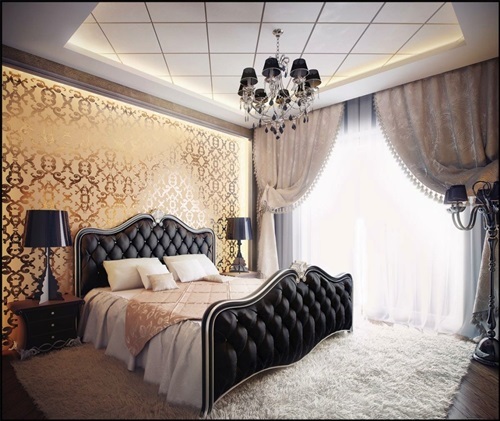 Starting with the walls, you have many options like, installing damask wallpapers or if you want to have a girly mood, paint the walls with deep red, purple, or pink. If you want to be so simple you can paint it with white or creamy. 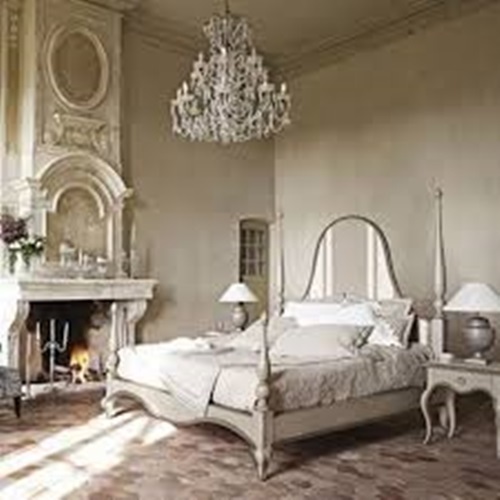 The best basic lighting option is hanging a golden or sliver candlestick chandelier in the ceiling. 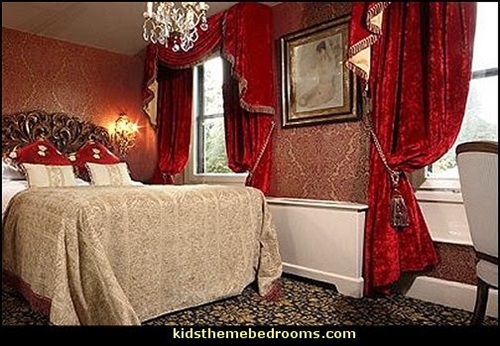 You can also hang electric candle sconces at both sides of a painting above your bed for quite lighting. 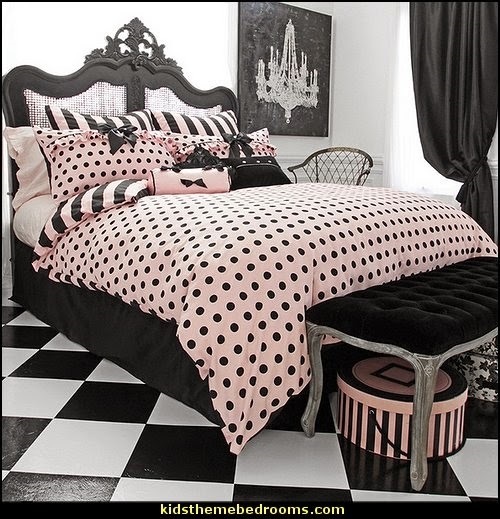 The wooden floor would be the most matching floor style with you French boudoir style. 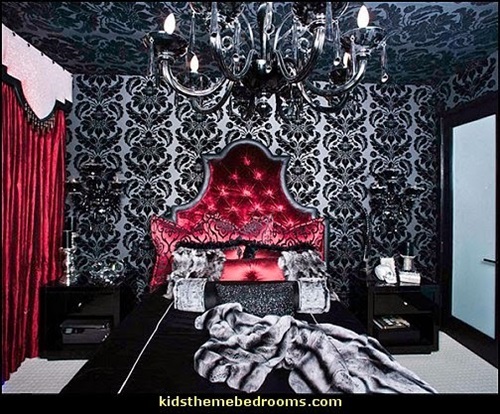 Ok, it’s time to put the magical furniture pieces .When you buy your French boudoir set, make sure to choose the set color matching with the color of the walls. 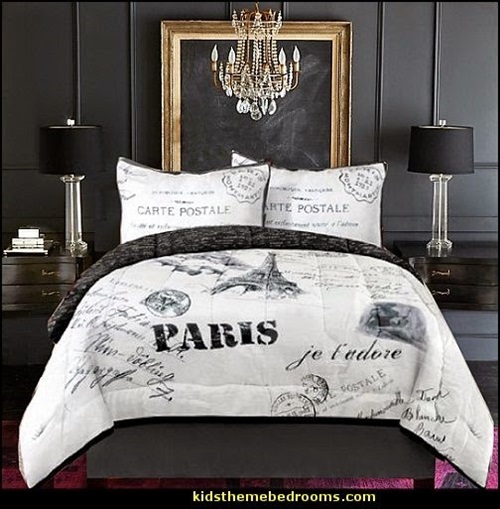 It’s an essential rule in French boudoir style to make the bed the focal point bedrooms. Add additional seating furniture pieces like, baroque, spoon back or nail head-trim chairs, and a tufted back or wingback chaise lounge. 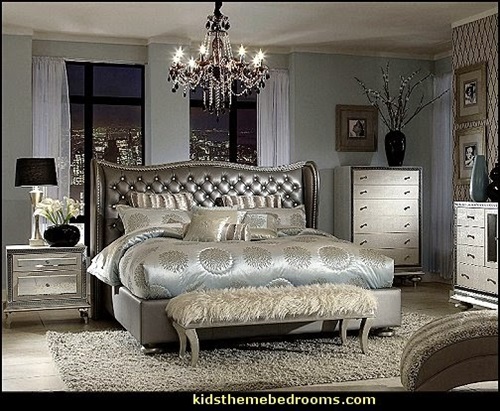 It’s your own kingdom princess so there in doubt that you need an elegant dresser, a dresser with curvy legs is the best matching style. 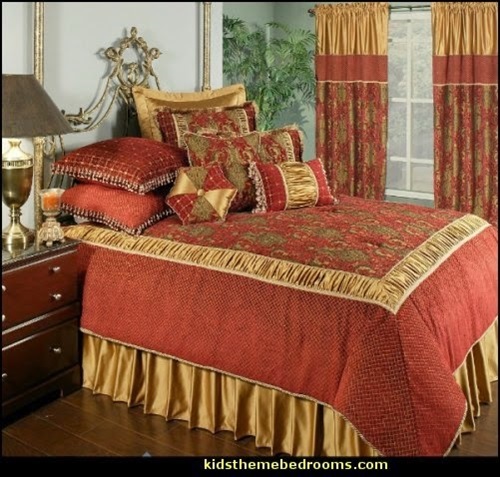 When you choose your window treatments, choose them with luxurious fabrics like, silk, velvet, lace or satin. 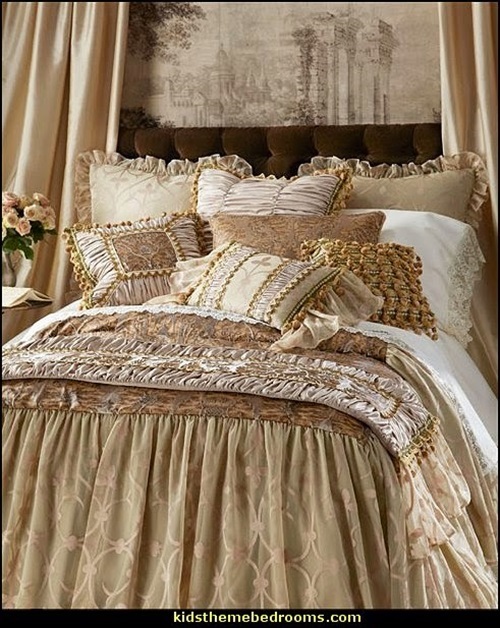 The drapery panel should be tall and touch the floor to give a warm ambience to your bedroom. 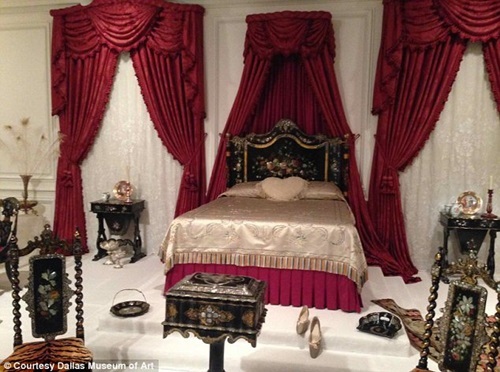 You can use metal or tassels holdbacks to hold the curtains to let the sunlight in. 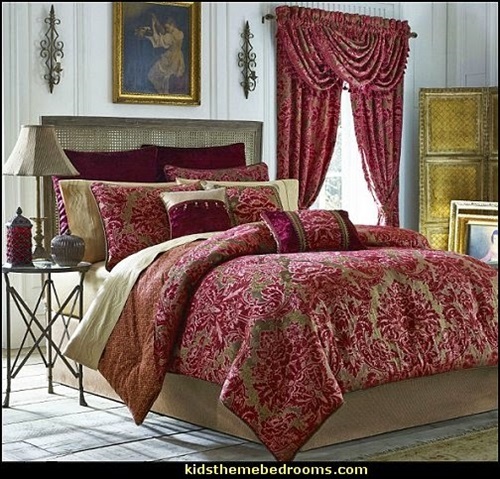 For your bed, choose floral bed covers with cotton fabric. 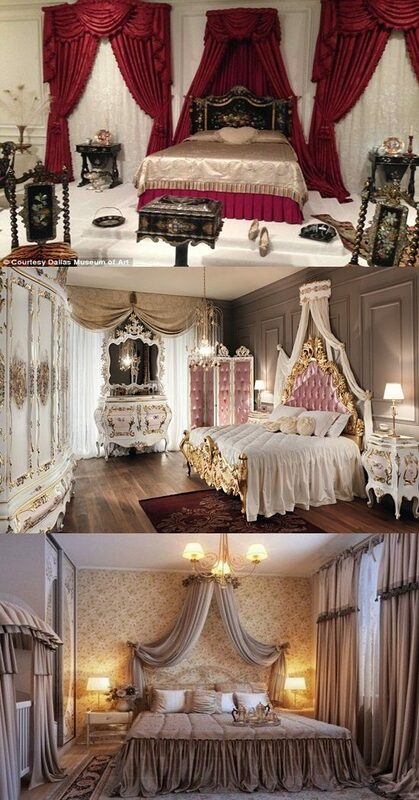 You can put pillows as much as you want. 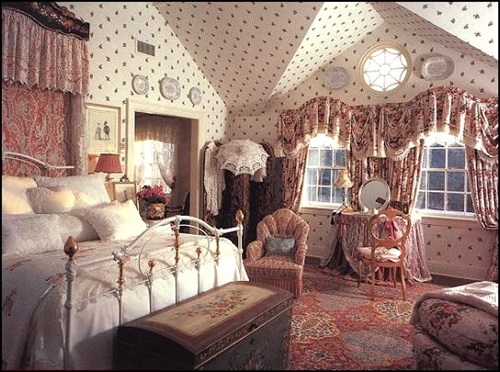 To complete your French boudoir style you need to add some accessories. 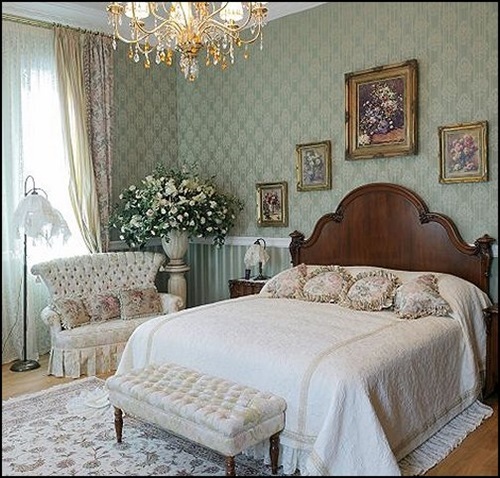 For example, you can hang mirrors with glided frames, you can also use floor or table lamps with cheer fabric, and for your bed you can put toile or tufted fabric headboard. 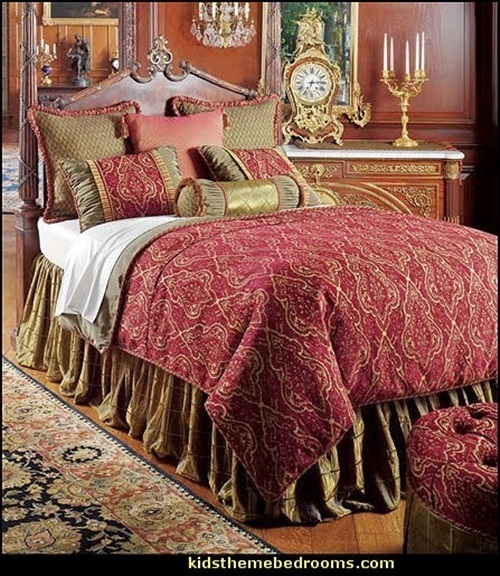 A mantel clock with two chandeliers at its both sides would be a very classy touch to add to your French boudoir style. If you love artworks, hang your favorite old movie poster on the wall, or you can simply hang a painting. 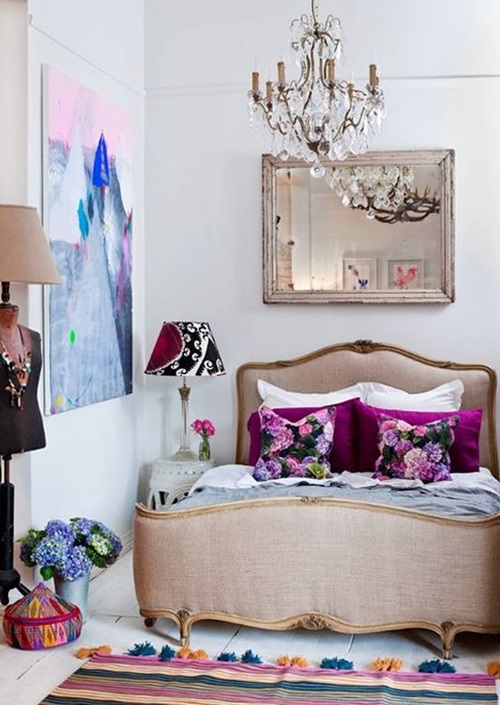 Add a glamorous touch to your French boudoir style and use flower or feather vase. 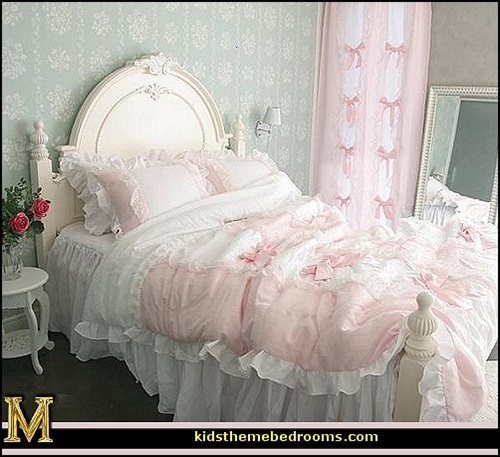 You can design a bedroom filled with these ideas with the French boudoir style, so start building your own kingdom princess.